You probably already know that embroidery is a great way to get your business, team or organization noticed. You may also have some embroidered clothing in your closet. But did you know that embroidery has a long and fascinating history? 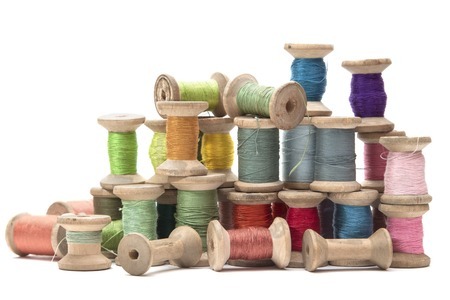 Humans have long used thread to decorate clothing and objects. We can trace the history of embroidery back to 30,000 B.C., during the Cro-Magnon period. A recent archeological find turned up the fossilized remains of boots, clothing and a hat that were decorated with hand stitching. Embroidery became popular in Europe during the Renaissance, although only royalty could afford to wear it. Painter Carlo Crivelli created portraits of aristocratic women and figures from the Bible wearing beautifully embroidered clothing. Indeed, embroidery has been a mark of wealth and status in numerous cultures, including India, China, Japan and Persia. It wasn’t until the Industrial Revolution that new manufacturing techniques allowed for affordable embroidered clothing. Today, embroidery adorns trendy clothing, both on the runway and in everyday shops. It’s not just about fashion these days! Embroidery is also a way for companies, teams and other organizations to promote themselves. If you want to create custom-embroidered shirts, hats, jackets, sweatshirts or any other product, Barb’s Custom Embroidery is a great place to find what you need. Barb’s motto is: if we can punch a hole in it, we can embroider it! Order from us to receive professionally made embroidery at affordable prices. Call Barb’s Custom Embroidery at 541-601-0594 to get started today!